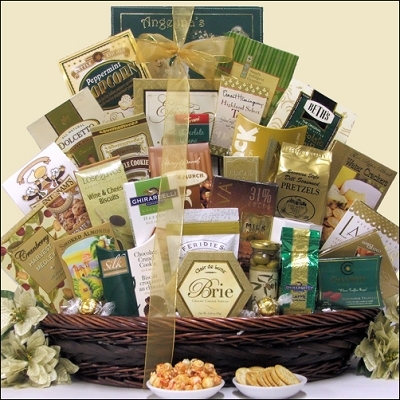 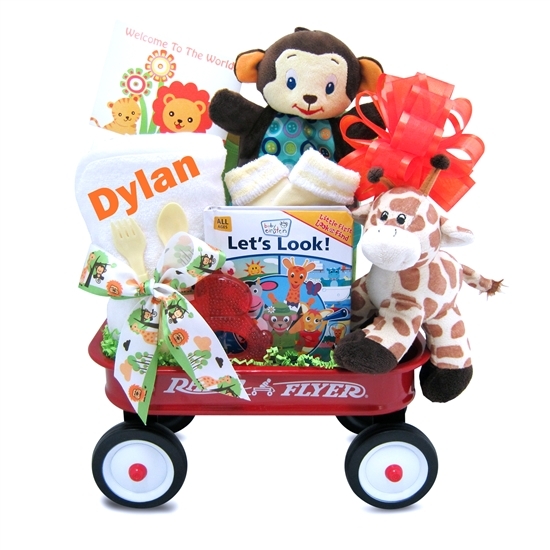 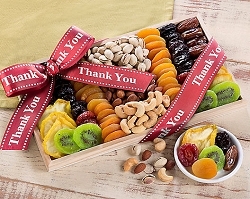 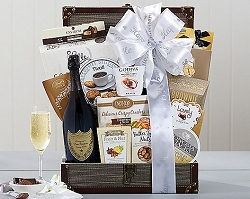 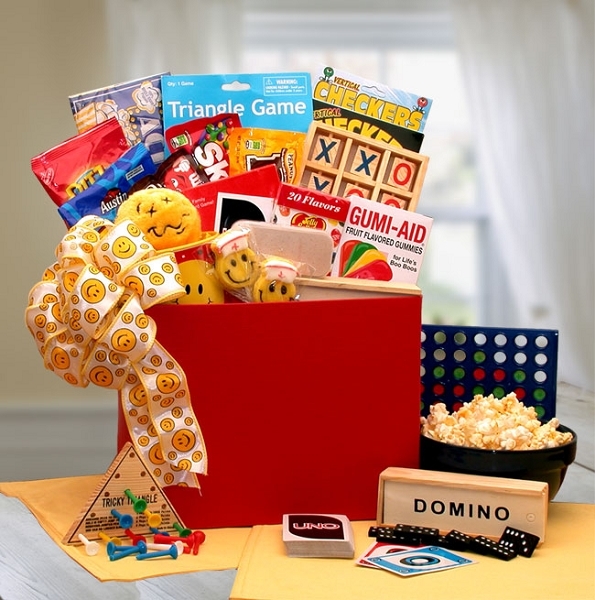 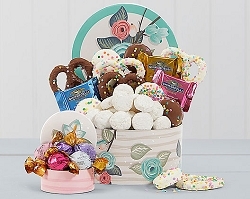 Make a grand impression for any occasion with this grand gourmet, upscale gift basket. 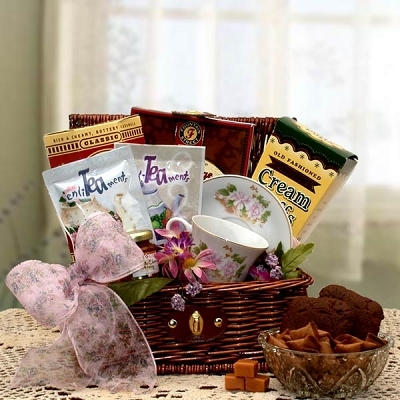 It offers a large selection of gourmet cheeses, crackers, snacks, candy, coffee, tea, cookies, premium chocolates from Lindt, Ghirardelli, and Harry & David, and much more. 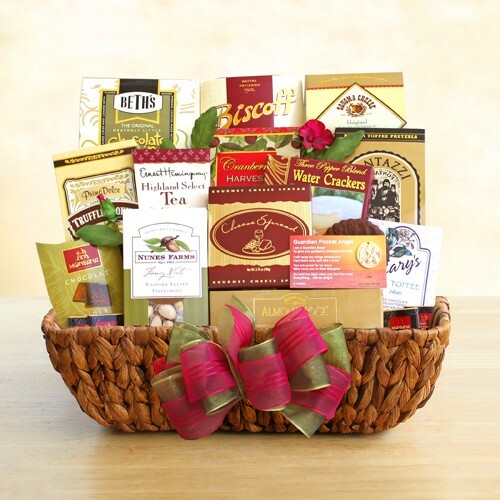 The luxurious gold, beige, and tan gift packages are arranged beautifully in this light mahogany stained oval willow basket - your recipients will enjoy for months! 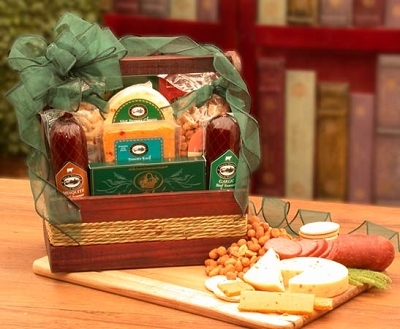 Great gift idea for corporate gift giving, real estate closing gift, holiday, or any special occasion.